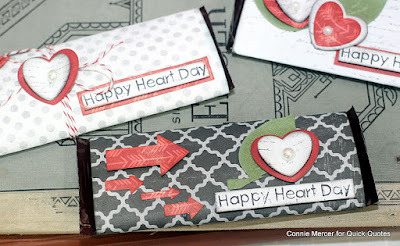 Blog Quick Quotes: Valentine Fun with Connie! 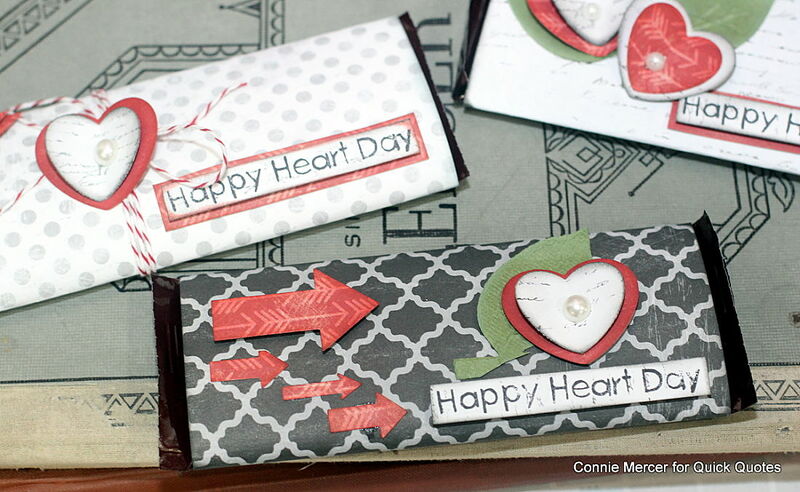 Hi, Connie here with a fun candy wrapper idea using Shades of Grey and Whistlin' Dixie by Quick Quotes. These are fun and quick!! You will have a Valentine made in no time at all. The first thing you will need is candy bars. 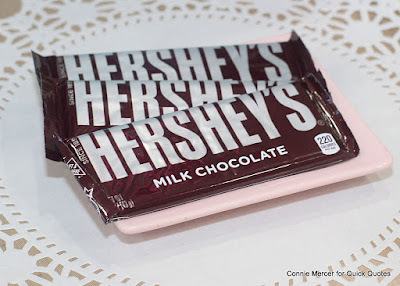 I used Hershey's Milk Chocolate but any candy bar will work, just adjust the size of the wrapper. The flat ones, like this, will give you a larger area to decorate. These would be great for other occasions too! The size of the wrapper is 5 3/4" x 5 1/2" . 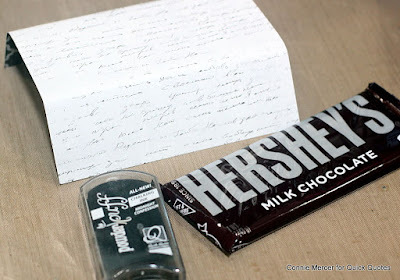 All you do is wrap the paper around the candy bar and secure the end with adhesive. Shade the edges with PowderPuff Chalk Ink in Midnight Confession. Decorate the front with red hearts and shade the hearts with Barn Board. 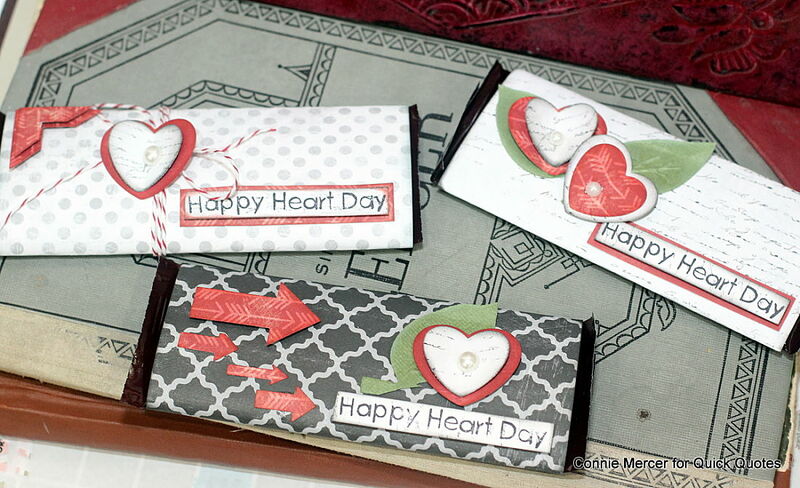 Heart Punch, Arrow Punch, Leaves, Pearls and Sentiment Stamp.